Who are they? Eyes Wide Art is a UK-based family business with more than 50 years experience in colour reproduction, image manipulation, photography, and digital and traditional printing methods. They have a large variety of photo gifts, amongst them this cute photo deckchair. 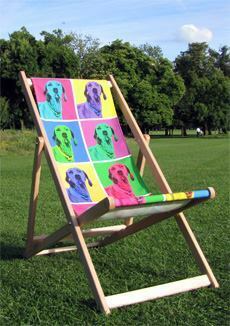 About the product: You can create your own designer deckchair with your favourite photo or artwork printed onto the deckchair sling. These deckchairs are hard-wearing and durable: the frames are made with merpauh wood, treated with teak oil which provides protection against the elements, extends the chair’s working life, and enhances the natural appearance. Deckchair slings are made from hard-wearing polyester sail cloth, and printed using state of the art technology. To shop for one you’ll need to upload a jpg photo, email the image or post the photo or artwork as a hard copy (printed photo) or on a cd and send it to their studio. More details: Prices convert from 80 pounds in the UK to $121.813 in US. For shipping purposes, when flat the deckchair measures width 56cm, height 105.5cm, Depth 102.5cm, seat height 43cm. Also sold at Bags of Love. $39.95 – $49.95 depending on size. From Exposures. $19.95 – Form Red Envelope. 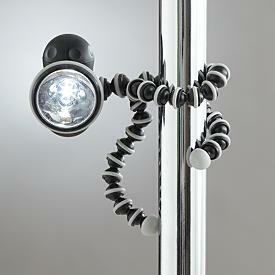 $48 – From Uncommon Goods. 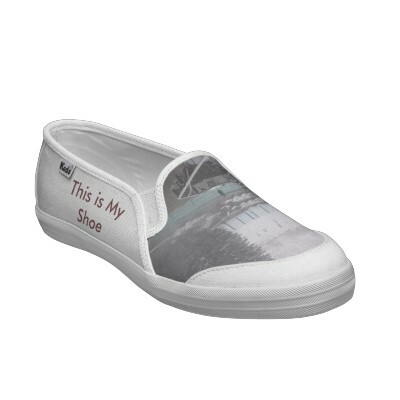 Personalized photo shoes? Oh, yes. Who are they? 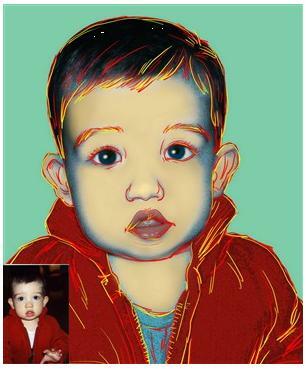 Zazzle is an advanced online print store with the ability for customers to sell their designs, buy others designs or create and purchase their personalized designs. 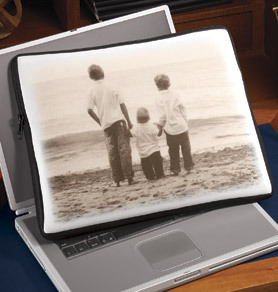 In their words “Infinite and instant, Zazzle is the only on-demand retail platform for consumers and major brands, offering billions of retail quality, one-of-a-kind products produced within 24 hours.” They proud themselves on optimizing the procedure by using proprietary technology that enables quick manufacturing of one of a kind pieces. Their products range from Printed T-shirts to more unique products such as skateboards. 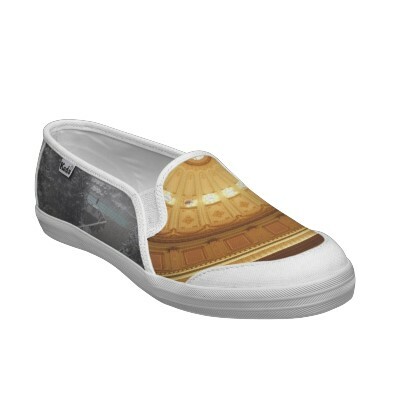 About the product: We loved the idea of printing on the Keds Champion slip-on sneakers. First you choose the shoe size, general colors of the shoe, trim and details. Then you get to design the shoe by designing each piece of fabric the shoe is made of. Once you upload an image, you can position it, rotate it and scale it as needed. You can also add text in a variety of colors and fonts. The only problems I found were that I was unable to undo mistakes or edit the font after typing. Other then that, just the designing itself is fun, fun, fun. Your imagination is the limit. More details: The cost of a pair of shoes is $60. The company ships within 24 hours! 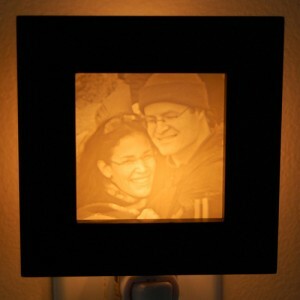 Here’s an idea for a very unique photo gift – gift friends and family with a glass vase that has all their (and yours, too) photos on it! Who is she? Jenny Gaynor, a 33-year-old Los Angeles based artist known for her airy glass creations creates custom photo transfer vases, seeking to provide meaning to the things we touch everyday. Gaynor began working with glass in 1999 at Tulane University in New Orleans and got her Masters in Art Therapy at Southern Illinois University . She broadened her skills from glass blowing to lampworking and with an insatiable desire to improve her proficiency Gaynor spent several summers in Murano, Italy studying with the masters at the Abate Zanetti School of Glass and at Urban Glass in Brooklyn, New York. 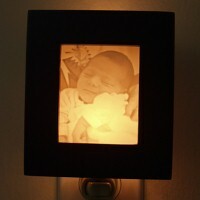 About the product: These custom photo vases are handmade using 99% recycled glass. 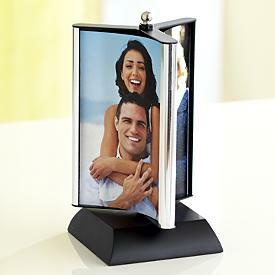 Each photograph is individually sized and cut, making your vase a one-of-a-kind piece of art. The photo transfer process is intricate, beginning with the careful placement of photos around the curves of the glass and ending with a full day in the kiln. More details: Prices range from $150-$550. You’ll need to submit your photos in digital files and they should be approximately 1 MB with at least 300 dpi resolution. Color photos can be changed to black & white but not vice versa. Each vase holds a different total of photographs, so you’ll need to visit their site to figure out how many photos you can include on your vase. Vases are signed and dated on the bottom along with a personal note. This can include the date of one’s wedding, anniversary, or retirement along with the names of the vase giver and its recipient.